The beloved American football season is coming to a close, and that can mean only one thing: Super Bowl LIII is here! Whether you are a die-hard Rams fan or Patriots fan, you cannot watch the Super Bowl without watching commercials. Forget game day and get a sneak peek at this year’s most anticipated Super Bowl LIII ads that Bigfin thinks you should watch in 2019. We think it will be near impossible to not watch an Anheuser-Busch InBev ad this year. They bought a reported eight ads that span across five-minutes and 45-seconds of total air time featuring five brands and seven products this year! This type of saturation has not been done since 2010, when nine ads spanned five-minutes and 30-seconds. With 30-seconds of air time costing roughly five-million dollars, one can hope all 57.5 million dollars of Anheuser-Busch InBev’s ad budget are spent wisely. A newer tech company called Bumble, is jumping on the Super Bowl LIII scene. That is right; Bumble will make their first ever Super Bowl appearance featuring tennis star, Serena Williams! This women-focused dating app is likely going to be in line with the women’s empowerment movement that brands have been taking a stance on in more recent years. The most pop-culturally relevant and some would say nostalgic, commercial this year will be from Doritos. This brand will be promoting their newest flavor, “Flamin’ Hot Nacho” featuring Chance the Rapper and Backstreet Boys. We think this relevant commercial will definitely be a fun one to watch this Super Bowl LIII season! Last year, Pringles introduced the idea of stacking different flavors to create unique punches of flavor. This year, the global chip company is cashing in on the use of smart speakers often found in the kitchens of one in four American households. See how Pringles creatively plays with smart home devices in their Super Bowl LIII spot this year! Along with many PepsiCo owned brands, Bubly will be featured in the Super Bowl this year. This carbonated flavored water will make its Super Bowl debut in a 30-second ad. The ad will feature Michael Buble, simply because of his name being so similar to the name of the product. Here is a look at the teaser they released on January 17th. What is sexier than expense reports? The expense management company, Expensify, will be releasing its first TV and Super Bowl ad EVER. The ad is supposed to feature two unnamed celebrities with an entertaining and elaborate twist on the tedious work of filing expense reports. Kia is back yet again with its tenth Super Bowl appearance this year. Instead of featuring celebrities (such as Melissa McCarthy and Steven Tyler), Kia plans to connect their brand to commoners as opposed to A-listers. They are said to completely unveil their “Great Unknowns Scholarship” that they teased during the NFC championship. The scholarship is said to benefit young people in need of financial support for higher education. In summary, Super Bowl LIII is expected to deliver commercials that focus on the lighter side of life. Serious and somber tones will likely be replaced with humor and amusement. It should be quite the contrast to the more pensive and politically-driven ads that aired during past Super Bowls. Regardless, we love to hear your feedback! 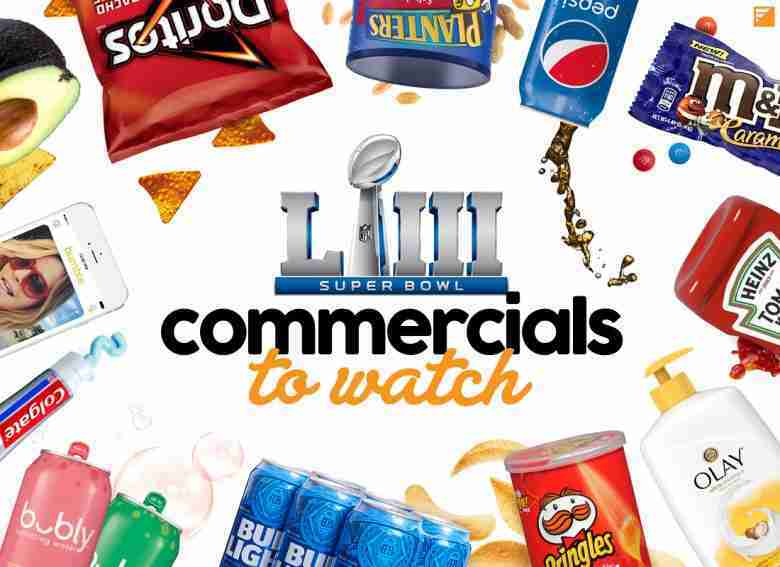 Let us know what your favorite Super Bowl commercial was of 2019 in the comments below! Bigfin.com is an industry leader in online advertising such mobile advertising, SEO and custom web design. Our comprehensive digital marketing solutions include social media management as well as content creation and management. Looking for fresh and authentic content or help with search engine optimization? Contact us online or by phone at (425) 822-8200.